Turns out there is a black player on the New England Patriots (ha, just kidding; I know they have three black players! ), and he isn’t going to the White House. 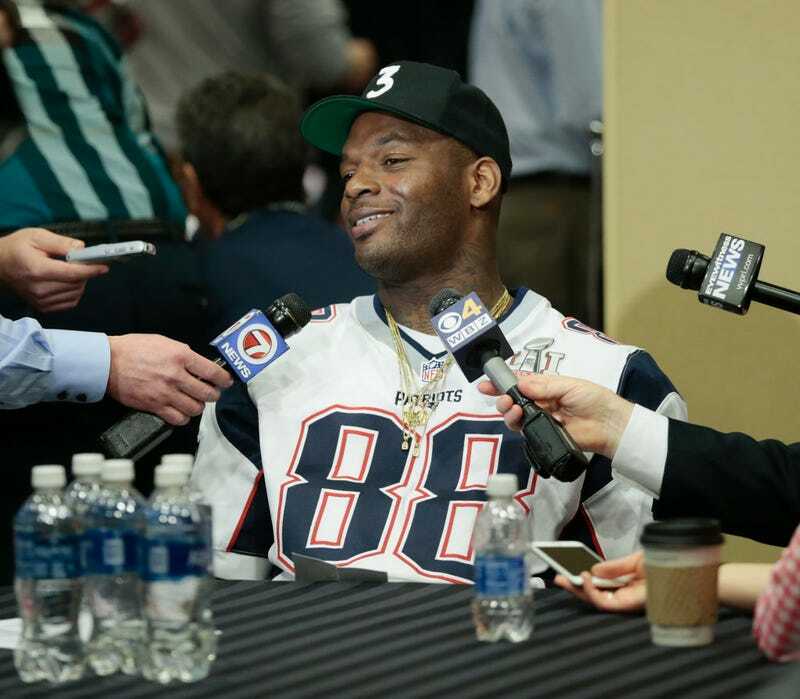 Patriots tight end Martellus Bennett was barely into his celebration in the come-from-behind victory for the ages when he let it be known that he has no intention of visiting Donald Trump’s digs. Trump has made no bones about his love for Patriots quarterback Tom Brady, arguably God’s favorite teardrop. Brady has tried to distance himself from Trump’s stink since Trump just can’t stop vomiting hate all over his presidency. Bennett says that he and his teammates haven’t let their ideological differences interfere with their locker room. If Bennett makes good on his promise not to go to the White House, he wouldn’t be the first Patriots player not to attend the ceremonial event. Brady missed the Super Bowl XLIX victory party in 2015 because he’s a Republican who loves him some Trump!, citing a family commitment.